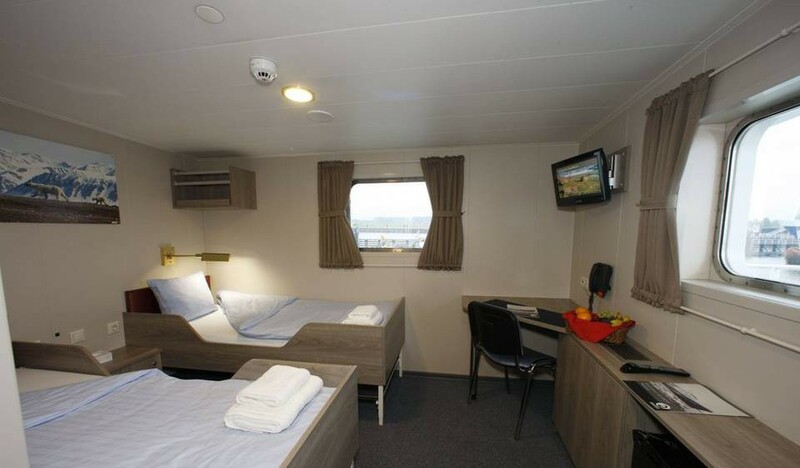 An Antarctic Peninsula voyage is also known as the ‘Classic Antarctic’ route. 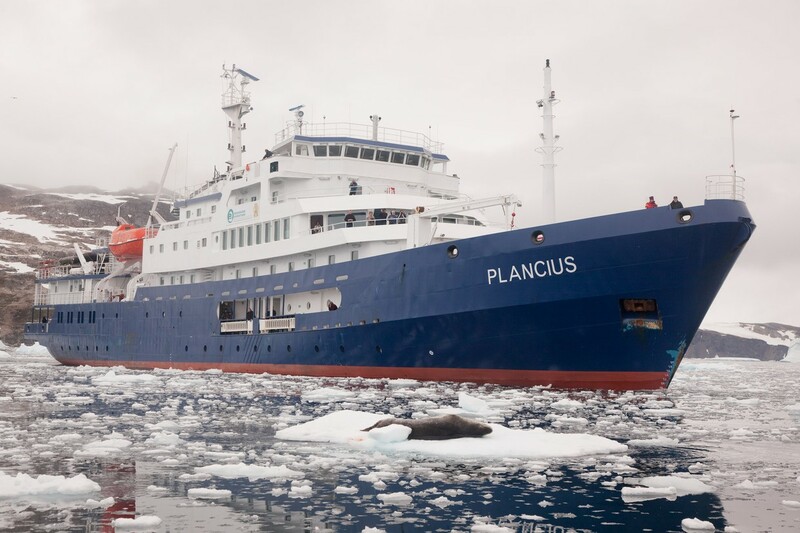 These late Antarctic Peninsula voyages are ideal for whale watching. We will sail directly to “High Antarctica”, passing the Melchior islands and the Schollaert Channel between Brabant and Anvers Island. On Cuverville Island, a small precipitous island, nestled between the mountains of the Antarctic Peninsula and Danco Island, we will find a large colony of Gentoo Penguins and breeding pairs of Brown Skuas. 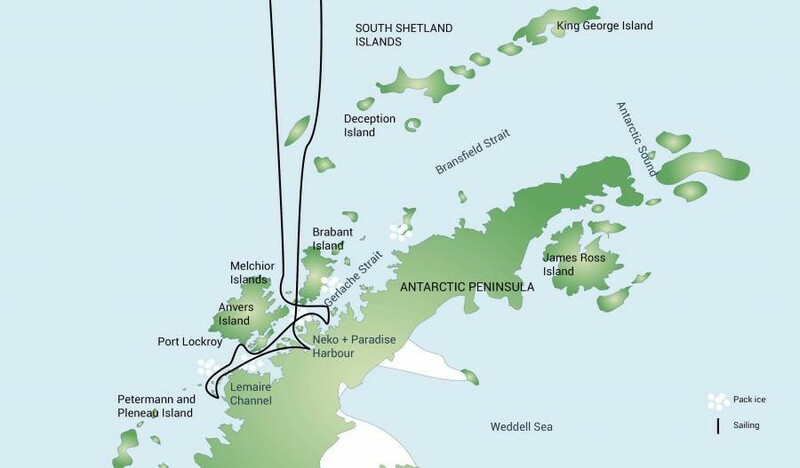 If we land on Danco Island we can observe Gentoo Penguins and possibly Weddell and Crabeater Seals. In Neko Harbour we will have the opportunity to set foot on the Antarctic Continent in a magnificent landscape of huge glaciers calving at sea level. 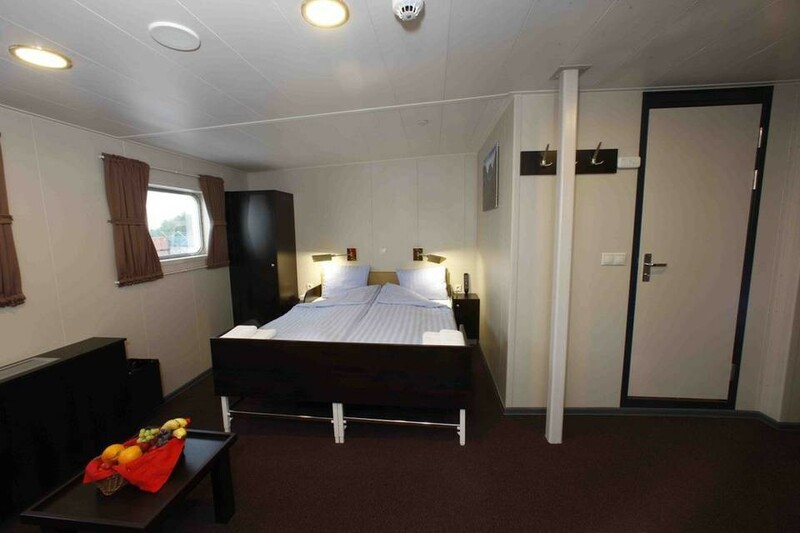 We enjoy the landscape surrounded by alpine peaks during zodiac cruises. In Paradise Bay again with its myriad icebergs, we have the opportunity to set foot on the Antarctic Continent again. We shall have the opportunity for a zodiac cruise in the inner parts of this amazing water way. In this area we have good chances to see Humpback Whales and Minke Whales. 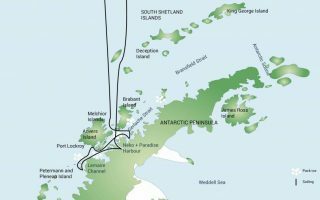 After sailing through the Neumayer Channel, we hope to get a chance to visit the old British research station, now living museum and post office at Port Lockroy on Goudier Island. Close to Port Lockroy we may also offer a landing on Jougla Point with Gentoo Penguins and Blue-eyed Shags. We sail through the spectacular Lemaire Channel to Pléneau and Petermann Island where we can find Adélie penguins and Blue-eyed shags. In this area, there are good chances to encounter Humpback whales, Minke whales and Fin whales. Sailing north through Gerlache Strait we arrive at Wilhelmina Bay where we often are fortunate to see feeding Humpback whales. We may embark on a Zodiac cruise if the conditions allow ending at the wreck of Guvernøren an old whaling vessel that burned here in 1915. Around Melchior Islands amidst a beautiful landscape with icebergs, where we may encounter more whales but also Leopard seal and Crabeater seals. This area offers excellent opportunities for kayaking and camping in the pristine Antarctic environment. We depart to the Drake Passage around noon. 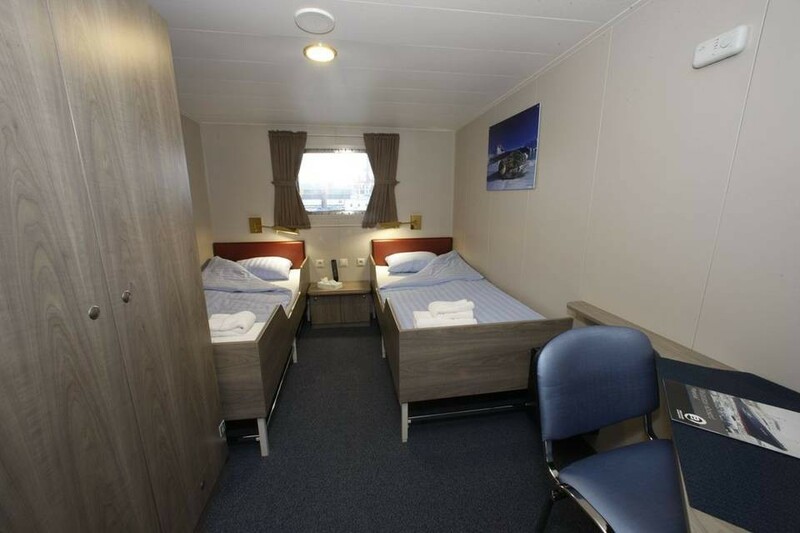 A typical itinerary to the Antarctic Peninsula is illustrated above. All itineraries are for guidance only. Programs may vary depending on local ice and weather conditions, the availability of landing sites and opportunities to see wildlife. 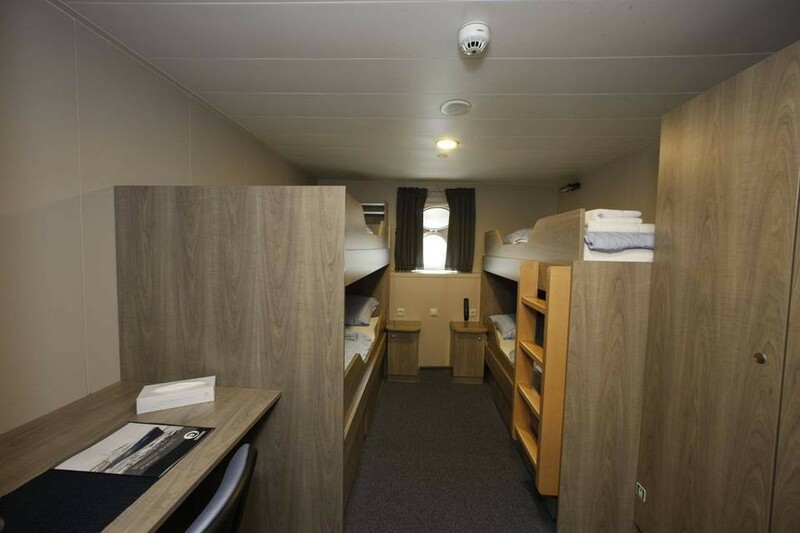 The final itinerary will be determined by the Expedition Leader on board. 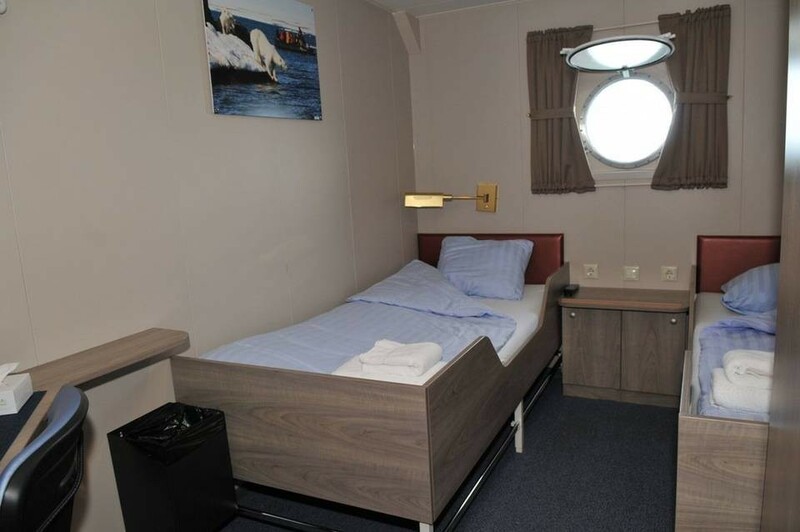 Flexibility is paramount for expedition cruises.